The window of time during which a woman can conceive begins with ovulation. Since male sperm can survive several days within the body of a woman, the phase during which a pregnancy is possible extends for several days before and after ovulation. Ovulation tests are designed to establish when this event occurs. 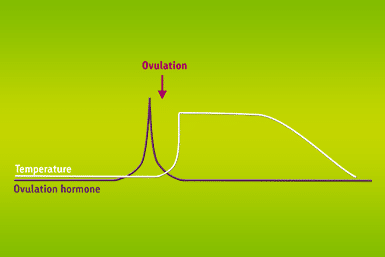 They show a positive result when the so-called ovulation hormone, (LH – luteinising hormone) has reached its peak. The ovulation test by cyclotest is designed for administration at home. It evaluates the LH concentration in your urine quickly, easily, and accurately. Results appear after 10 minutes. Important information regarding the test can be found below. The cyclotest ovulation test indicates a positive result for samples with a LH level of over 25 mIU/ml. In clinical evaluations, the cyclotest ovulation test achieved a diagnostic accuracy of over 97%. On which days of the cycle does performing an ovulation test make sense? The answer depends on the particular length of each woman’s own individual menstrual cycle. 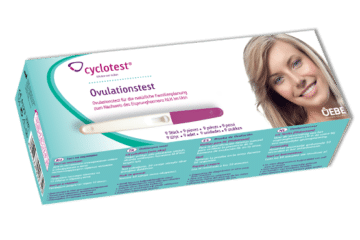 The user instructions that came with the packaging provide an overview of various cycle durations and the recommended timeframes to perform an ovulation test associated with those durations. If you are unsure about the duration of your cycle, you can start ovulation tests 11 days after your period. 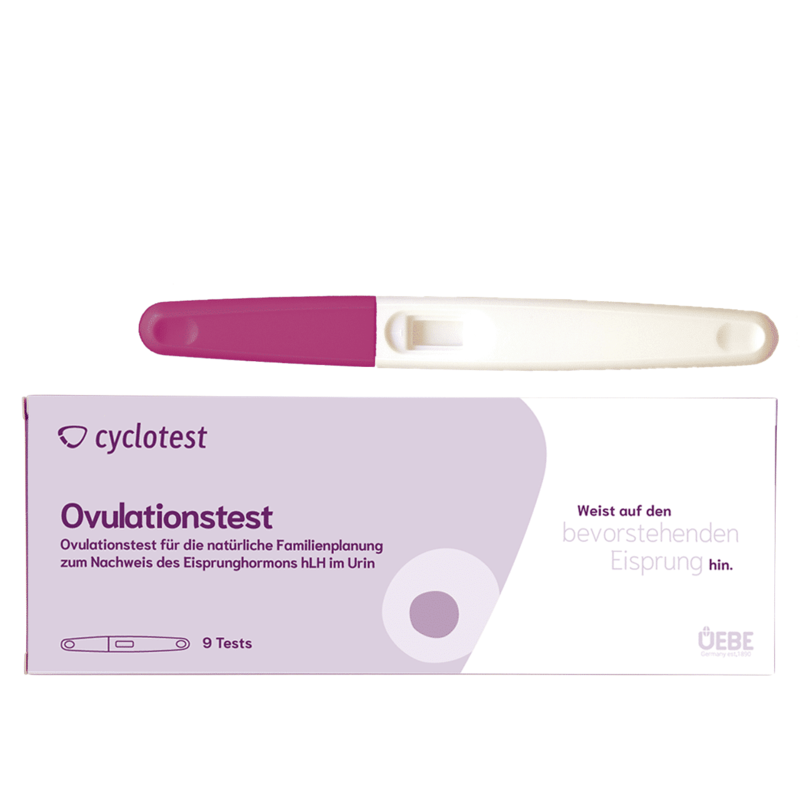 The ovulation calculators by cyclotest provide structured assistance in the interpretation of the results. Their function is twofold: 1) they indicate when it is time to use the LH sticks — based purely on your personal rhythm; and 2) they conveniently save test results in the menu. Using the collected cycle data, temperature measurements and ovulation test results, the cycle computers can define the fertile phase of the cycle with great precision. This information is helpful in planning a pregnancy, or practising natural family planning.